Whenever you do a google search, roughly 30% of the time you’re going to click the ads and 70% of the time you’re going to click organic results. Ads are on top and the organic listings are right underneath. So, where would you want to be? Ads cost money and they get only 30% of the traffic and the organic listings get roughly 70% of the traffic and they don’t cost any money. But, the problem is it’s not easy to rank organically. In this article, I am gonna share with you, “How to do SEO in a Competitive Industry without spending money?“. Follow these steps to increase your website’s ranking without spending any money. How To Increase Your SEO Ranking With No Money? Here are the best tips which I and others popular SEO experts are using to increase SEO ranking. If you have a website, make sure there’s a blog. If you don’t know how to start a blog, then follow our step-by-step guide on how to start your own blog. Once you have a blog, go and contact each and every expert within your niche and interview them. And, get the expert knowledge about the topic you’re blogging about. After that, start writing roundup posts. 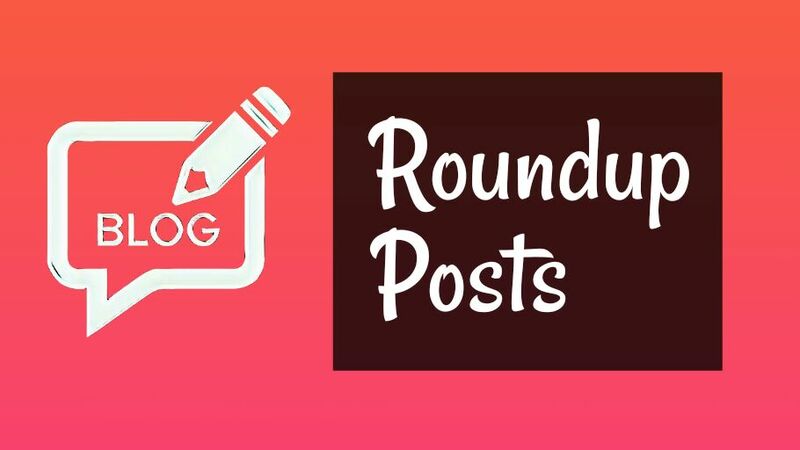 Now, roundup post is a blog post, in which you can write about a topic, and include the opinions of most of the experts in that niche. After you publish the post, let each of them know about your post, through the mail and ask them to share on their social networks. If they found your post helpful, then they will definitely share your post. And even, if their readers will find your post helpful, they will link to you. This will help to increase your ranking. SEMrush is a great tool for webmasters as well as website owners. It is used by most of the popular blogs all over the world. This tool will help you to skyrocket your SEO rankings effortlessly. Its all-in-one SEO tool for your website. You can use this tool to check, the keyword density that the websites are using your space and ranking high on Google. If you write blog posts, then cluttering your blog posts with keywords to rank high, is not a wise idea. Your blog post must be thorough. There are many blogs out their ranking high on Google, and shaving not so many backlinks, just because they are in detail, thorough and have keyword density. You can use SEMrush to get the keyword density of the high ranking blog posts and use that density of keywords in your blog post. SEMrush is a freemium tool. You can use this tool for free but with lots of limits. If you found any problems in using it, then please follow our detailed guide on SEMrush. If you want any free alternative to SEMrush then SEOBook is the best alternative tool but with limited features. If you followed the above tips, then this will definitely help you to grow your traffic exponentially. Whenever, you’re going to write a blog post, about any topic, then, first of all, you must Google your Topic. After Googling you have to look at the 30%(means Ads listings). You have to look at the Ads copy, how they are appealing you to click through and the same way you have to do with your Title tag and Meta description. The ad listings are sorted by the cost the Advertisers pay to Google. But, that doesn’t matter, because if the ad copy is not appealing, then nobody is going to click on it. You have to do the same with your post title & meta description. Make your Title and Meta description more appealing so when you rank on Google, peoples are going to click on your title. This will increase your Click through rate(Click through rate). You can use date, and adjectives in your blog post title and explain your blog post in short in the meta description. You should use words like “Updated in 2018” and “Effortlessly”, and the many other words which attract attention, force others to click on the post to read. And you should add numbers in the title, I must say this trick always works great to attract. When I see the top performing blog post on in StayMeOnline, most posts are with the number heading. I also recommend you to read the below post from Hubspot, this will the best source for you to learn How to write attractive headings? If you found this article helpful for you, then please share this article with your friends and followers on social media. From The Admin: This is a guest post written by the Abhishek Verma, one of our regular readers. You can also submit your guest post on the StayMeOnline but before must read the guidelines from here. I am sure you liked the post and found it helpful if you did then must share it with others to make them know about these awesome tips. Feel free to share your queries and suggestions in the comments and you can also get in touch with us in StayMeOnline Forum. Thanks, it really appreciate me. Great Article. Keep up the Good work dude. You gonna shine high one day.